JACKSON, Miss. 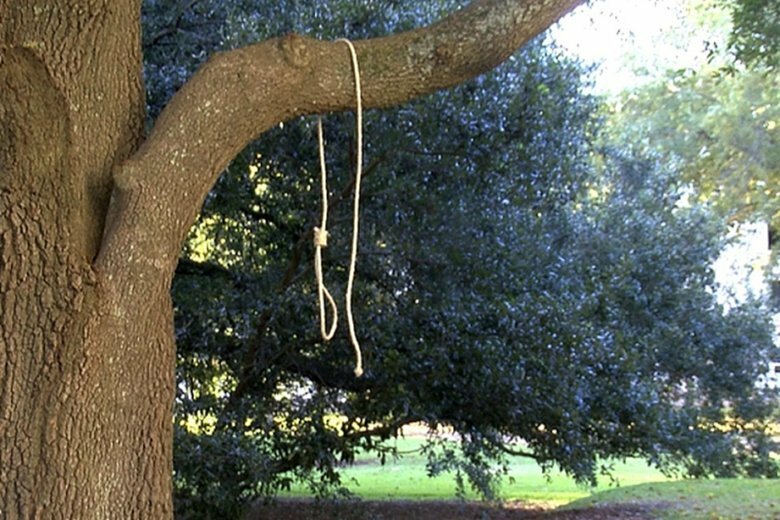 (AP) — State and federal investigators are trying to find out who hung seven nooses in trees outside the Mississippi Capitol early Monday, a day before a U.S. Senate runoff that has focused attention on the state’s history of racist violence. The Mississippi Department of Public Safety says the nooses were accompanied by handwritten signs referring to Tuesday’s election as well as to lynchings — most of them in the state’s turbulent past, but also one recent case that remains under investigation, of a black man whose body was found hanging in central Mississippi. The department posted photos of the signs on social media and sought information about them from the public. At a midday event, before the content of the signs was disclosed, Espy said he knew nothing about the nooses or signs. He said it would be “unfair” to make any connection between the items and Hyde-Smith. The matter is under investigation by the Mississippi Department of Public Safety, Mississippi Capitol Police and the U.S. attorney’s office.